The consecrated city of Puri in Orissa is considered to be one of the four most pious and sanctified pilgrimage for the Hindus in India. This coastal city of the state in east India is located about 60 kilometres south of the city of Bhubaneshwar. 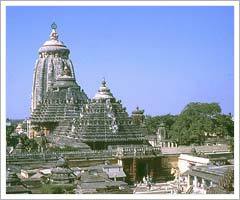 The city hosts the famous temple of Lord Jagannatha or Vishnu, one of the most prominent Gods of Hinduism. It was constructed dating back to the 12th century by Raja Anant Varman Chodaganga Dev. The images of the deities are made of wood. The temple not only endorses a great implication to the people of the state, but Hindus from all over the country as well. The extreme veneration reverence of the Lord Jagannatha (also called juggernaut) shoots to the pinnacle during the annual festival of Ratha Yatra in the month of June – July. The sea beaches of Puri are frequented by both Indian and foreign beach lovers. The Puri beach is preferably suited for swimming, catamaran cruising and sun bathing. To experience a hale and hearty holiday each year tourists from every corner of India and the globe flock into the beach city. It is undoubtedly considered as one of the best beach resorts in the world. The sea water also makes it an ideal health resort. The joy of basking in the sun while holidaying in the beaches and colourful cultural fiestas has led to Puri to stand amongst one of the best beach destinations. The pristine, white sands of Puri beach beckon one to visit the city and treasure the briny-saccharine memories forever.